Do We Still Need A Justice League? I'm in a sort of weird place with my DC Comics lately. I still read them. I'm not in that New 52 sinkhole DC forced me into. I still very much love the characters. I'm head over heels for Tom King's Batman. With Wonder Woman, I'm five issues in and waiting for something to happen with G. Willow Wilson's Wonder Woman run. It's good. It'd fine but I don't know, I'm kinda hoping this isn't another "For Whom The Gods Would Destroy" thing. Buying Young Justice #1 made me realize just how much I missed seeing Robin, Superboy, Impulse and Wonder Girl all on the same page. And Justice League? I wish I could say that I was reading it but I'm not. It's not because of the creative team. It's stellar. Scott Snyder, Jim Cheung and Jorge Jimenez are any publisher's dream team. It has everything I should want. The Martian Manhunter has been firmly placed back within its ranks. It has It has The Trinity and a Flash and an incredible art but the older I get, the more I believe The Justice League shouldn't be a thing I can just buy once a month. Why? 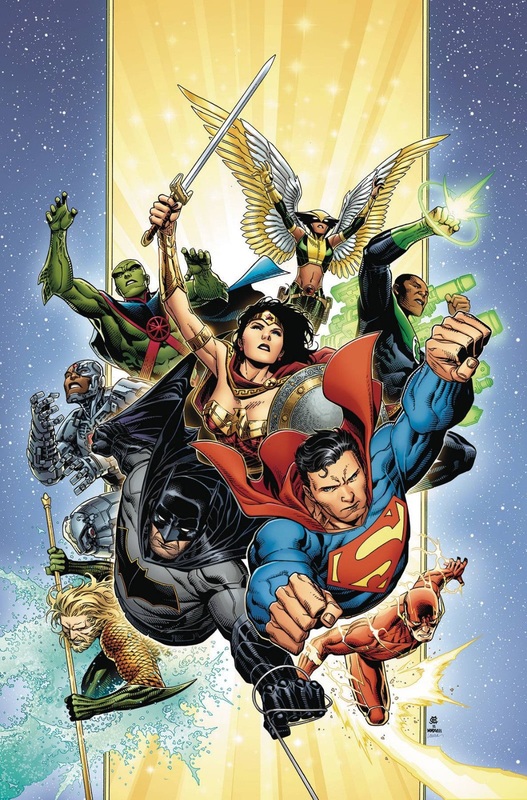 There's always something bigger than The Justice League in the big event books and frankly, I feel like it’s diminished the impact of The Justice League. This isn't on anyone in particular but to me, reading The Justice League feels more like an obligation than a privilege. Once to twice a year, we’re told the fate of the universe is at stake while in their own book, The League rises to meet whatever "alien invasion of the month" or another "fate of The Multiverse" thing leading into an event and I see a lessening. The 1986 DC event, Legends was used to show the necessity of a Justice League. Now, The Justice League has come to serve the event. I've said it once and I'll say it again: When something so big happens that it has to bring Superman, Batman and Wonder Woman into the same room, you should feel like things are gonna be alright. What big crossover events have shown me lately is that when a Flash walks into a room, you should be worried because the timestream is FUBAR. The Flash to me, since Flashpoint, signals that a story is about to get really long and complicated. I'm not putting my apathy for The JL on The Flash, I love the guy. The League isn't a League without a Flash. More what I'm trying to say is that I just want to feel the wonder of seeing these heroes together again. I want to show up for a Justice League and feel like I'm being taken on a journey and not another long ride.